John Davidson takes a look at the comings and goings in Super League and the Challenge Cup over the past seven days. The week started with a bang with Marwan Koukash’s explosive ‘press conference’ at the AJ Bell Stadium. Ever the showman, it was more a circus than a presser, more like a boxing media event than a rugby league one as Koukash hit back at his detractors in front of cheering fans and watchful journos alike. 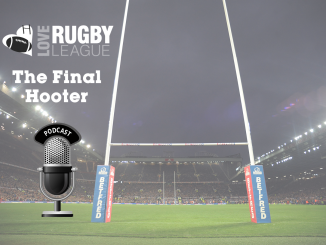 For close to 40 minutes the colourful Salford owner spoke his mind about Kevin Locke, Tony Puletua, the local council and dropped the occasional F-bomb. It was some show and Koukash relished the occasion. What did it actually achieve? That’s hard to say as it hardly set the record straight. He said he would be suing Locke, Puletua and the council, and straight out denied their accusations. It was simply Koukash’s words against there’s. But there is no smoke without fire and the rumour is that they aren’t the only creditors of the Red Devils that allegedly haven’t been paid. The issue is far from over and the only winners are the lawyers on both sides. Koukash is great fodder for the media, he gives us plenty to write about, but he is also a polarizing figure and he has clearly turned some Salford supporters off. There was no explanation if or when Bobby Goulding will join the club, or in what role, after all the social media bluster and no word of any new star signings. 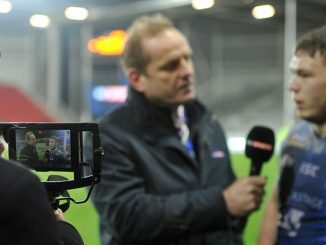 But there was confirmation that Tim Sheens is coming on board. Salford are in big trouble on the field so hopefully Sheens can add some wisdom and guile to turn things around as the middle 8’s approach. The former Australia coach has won grand finals with Canberra and the Tigers, and has a fantastic pedigree. Sheens will be advising the club on signings, something they desperately need. Koukash also says he’s still interested in buying an NRL club but after Tuesday’s performance, I’m sure David Smith and the NRL heriarchy wouldn’t have been too impressed. They’ve been burned by volatile owners such as Nathan Tinkler before and would be very wary of going down the same path again. Over at Wakefield and the Wildcats were the talk of Super League with their string of signings. Locke from Salford, Mike Sio from the Queensland Cup, Jordan Tansey from Castleford and Anthony Walker from St Helens give Wakefield some much needed depth and a sprinkling of star power ahead of the middle 8s. The Wildcats’ recruiting for the 2015 season was ordinary compared to their rivals and they’ve paid for it so far this season. Brian Smith is trying to fix that now and the likes of Locke and underrated Samoan international Sio could be smart buys. These four should really come in their own in the next few months once the regular rounds are completed and they get to know their new teammates. The middle 8’s took a while to get your head around when the RFL announced them last year. Top eight splitting off, the bottom four meeting the Championship’s top four, a series of mini-games, a million pound game, honestly it made your brain hurt thinking about it all. 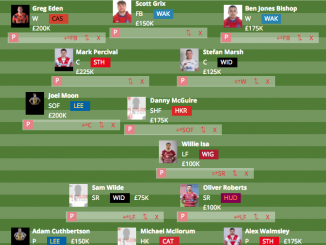 But once the concept finally sunk in, combined with the performances of Bradford this season and the rise of Leigh and Sheffield, it could be intriguing. I believe the middle 8s are going to be great. Clubs like Wakefield are strengthening ahead of them and Leigh already have done so with Micky Higham and Fui Fui Moi Moi earlier. It’s added a new dimension to the season and increased the interest and pressure quite a bit. It’ll be fascinating to see how Bradford, Sheffield and the other four clubs might try and bring it. There are no meaningless games now unlike last year when Bradford and London’s relegation was obvious early. Extra excitement can only be a good thing, so hats off to the RFL. What was disappointing was Wakefield’s decision to shield Locke from any interviews after his capture was announced. Talk about a joke. The fullback is 26 years old, has played for his country, in a World Cup and in close to 100 NRL games. He’s an adult, can look after himself and is used to speaking to the media as professional sportsman. Locke’s signing has been billed as Wakefield’s biggest since Wally Lewis. So what do they do? They don’t capitalize on it, they decide to put him on a media ban. It’s a shortsighted move by a club that badly needs more media coverage and fans. The Wildcats haven’t had much good news in 2015, with stadium issues and falling crowds, but this was a good news story, a positive one and they wasted it. It’s indicative of the approach of a lot of Super League clubs who often do a poor job of marketing the game and promoting their players. There is a lack of personality and character around the sport at times. The media profile of rugby league in the UK is low and clubs and players need to work better with the media to help build it up. Sadly this doesn’t happen too often. 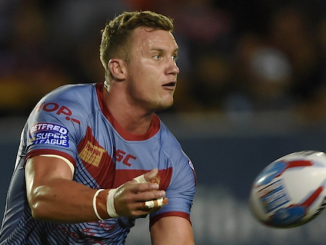 A few clubs are switched on about the power of proper public relations – see Leeds set up of an interview opportunity at the airport for the arrival of their new prop Mitch Garbutt from Brisbane. Warrington are another club that is very professional when it comes to media management, giving access to their players as part of their marketing strategy. It’s pro sport 101 but many Super League sides don’t see it that way. Hull KR’s defeat of Catalans in the Challenge Cup wasn’t an upset, but it was an impressive win and one that hopefully bodes well for the Yorkshire club. 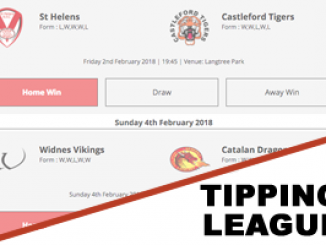 With Warrington accounting for Leigh, Leeds for Hull FC and Saints knocking out Wides, there’s a familiar ring to the semi-finals. Three of the big guns, without Wigan, are there. But the arrival of the Robins gives the neutrals, not to mention Hull KR fans, something to cheer about it. Chris Chester’s men are on a roll at the moment and really playing with some verve and excitement. Ken Sio was one of Parramatta’s discards under Ricky Stuart but he has been a great find for Hull KR. He has been an excellent finisher and combines well with Kieran Dixon. How far Hull KR can go remains to be seen but I’d love them to make it to Wembley, to spice things up. Castleford did it last year and it was awesome. Hull FC got there in 2013, Huddersfield in 2009 and Hull FC again in 2008. The Challenge Cup has taken a beating in recent years but this year there is a bit of buzz around the competition again. Attendances are up and some of the games have been outstanding. Here’s hoping the Robins keep bobbing along. One way or another, Ryan Brierley has to be playing in Super League in 2016. Whether it is with a promoted Leigh, or another club, the playmaker is too good a talent to be wasted in the Championship. Saturday’s match against Warrington showed again that he is a player that shows no fear, has a pure footballing brain and has the imagination to take players on. He is no conservative, structure-first but one with passion, smarts and instinct. Brierley can sniff out a try from anywhere and plays well above his weight. 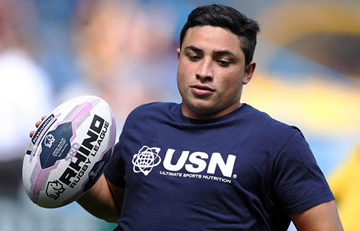 He’s 23 now and the former Castleford academy product has had a long enough apprenticeship. He’s ready for a bigger stage and ready for Super League week-in-week-out. At time when the top flight is dominated with Aussie and Kiwi halves, with few British sixes and sevens holding down a regular starting spot, Brierley is a breath of fresh air. He’s already better than a lot of the stand-offs and scrum-halves getting around Super League now. How good can he become?